Structured support networks including ex-military volunteer mentors to assist veterans in custody in reducing re-offending, accessing physical and mental health and wellbeing services, and living a good life outside of a regimental environment. There are a growing number of ex-military veterans in the prison system and specialist support interventions are required to support their resettlement needs. Catch22 consulted veterans and serving military personnel to design a support service that provides direct routes into physical and mental health services both within custody and in the community. Our services offer a structured support network that assists veterans in reducing re-offending and living a good life outside of a regimental environment. Volunteer mentors – ex-military veterans who are often former prisoners themselves – work with Catch22 to engage veterans and encourage them to join the support network. physical and mental health services. This initiative has made a significant contribution to addressing the needs of a group of prisoners who have a common bond of service to their country. Facilitated by Catch22 volunteer mentors who are ex-military personnel, peer support groups offer a forum for veterans to socialise with like-minded people in a comfortable environment. Participants use the sessions as an opportunity to get together and discuss common experiences, and to plan forthcoming events or commemorative occasions such as Armed Forces Day. 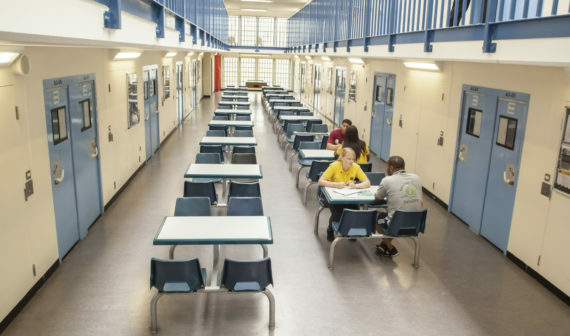 The sessions provide an opportunity for newly received prisoners to acclimatise themselves to their surroundings and for more settled prisoners to befriend and offer support to their peers. Specialist support services can be key to accessing wider funding to aid resettlement and individual needs. Acknowledging the Armed Forces Covenant – and the support that can be gained through organisations that recognise this guidance – can play a crucial role in helping veterans in custody access much needed assistance. We work alongside The Royal British Legion and SSAFA to run surgeries inside the establishment, offering direct access for veterans in custody. Veterans continue to benefit from this support, accessing funding to place bonds on accommodation and furnish properties to live in upon release. Veterans in custody can have diagnosed or undiagnosed mental health issues such as PTSD, and substance misuse issues as a form of self-medication or coping mechanism to mask underlying issues. Poor decision-making whilst under the influence of substances is commonly linked to the reasons why many veterans are serving a custodial sentence. Gaining access to the right service, receiving an assessment and having the stability to engage with a package of structured support can prove challenging. In partnership with the Mental Health In-reach Team and regional NHS Veterans Outreach Therapists, we run health and wellbeing support groups for veterans to provide advice and guidance on how to look after their physical and mental health. We work hard to create referral pathways and priority access into community mental health services for veterans returning to the community. Our aim is to break the cycle of relapse to alternative coping mechanisms by maintaining engagement in services and addressing the underlying issues of substance misuse and offending. better access to mainstream funding and accommodation was reported by case workers. Talk to us about how we can work with you deliver services for veterans in custody.